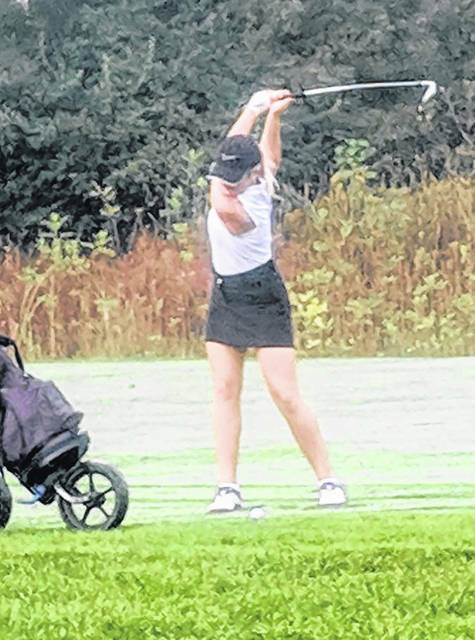 Lexi Crawford takes a shot during the OHSAA Sectional Tournament at Yankee Trace Golf Club. 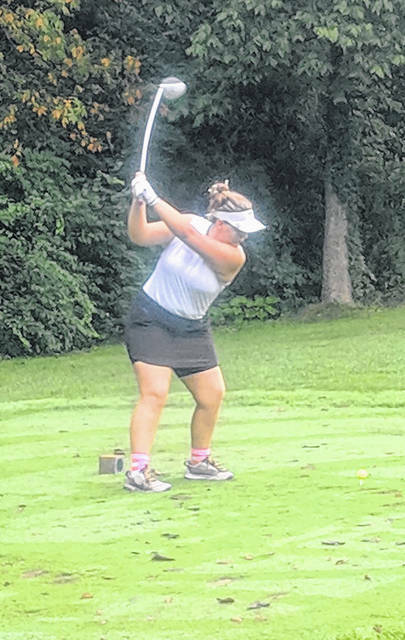 Hailee Perry takes a shot during the OHSAA Sectional Tournament at Yankee Trace Golf Club. Breanne Kroeker takes a shot during the OHSAA Sectional Tournament at Yankee Trace Golf Club. 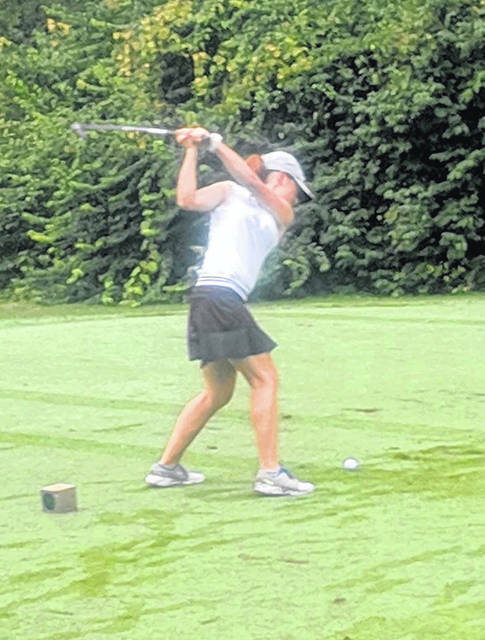 CENTERVILLE — The Butler girls golf team qualified for the Southwest District tournament with a fourth place finish at the Centerville Sectional Tournament held at Yankee Trace Golf Club. Butler shot a 382 which was five shots ahead of fifth place Troy. Centerville was the overall winner with a 287, Oakwood second with a 361, and Beavercreek third with a 363. Lexi Crawford was low for the Aviators with a 84. Hailee Perry shot a 93, Savanna Dunlevy shot 101, Breanne Kroeker shot a 104, and Allison Debney had a 105. The Aviators will participate in the Division I District Golf Tournament on Tuesday, Oct. 9 at Glenview Golf Course in Cincinnati.